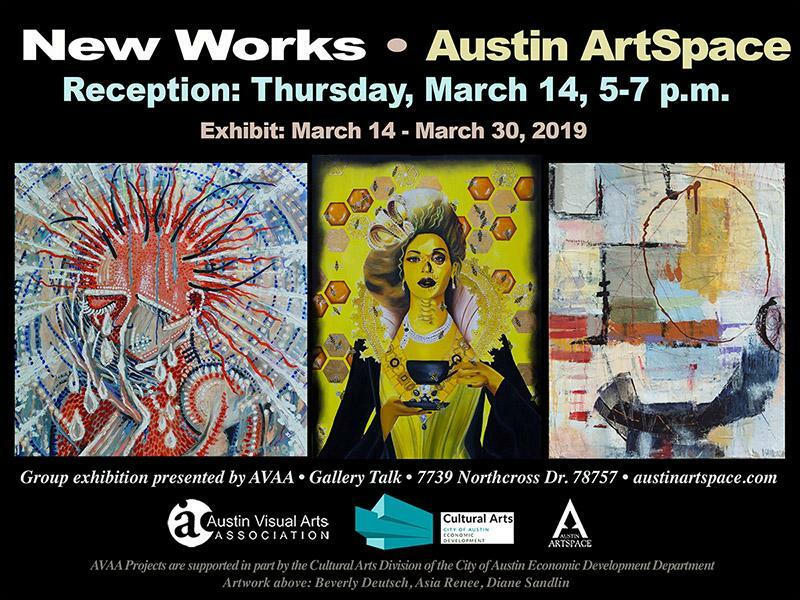 Please stop by for the New Works Exhibit now on display at Austin ArtSpace. The multi-media show features works by more than 20 local artists. Please note the show has been extended until April 6th.